Since the beginning of my week didn't go as planned, I spent the day yesterday catching up on things around here - laundry, vacuuming, making bread, etc. Steve & I spent some time last evening tweaking the design of the posts for the loft railing. Therefore, I don't have a Sneak Peek Friday ready for you today. I have a short humorous piece for you instead. When I was looking through the newspaper that had my great-great grandmother's obituary, I came across this little item. 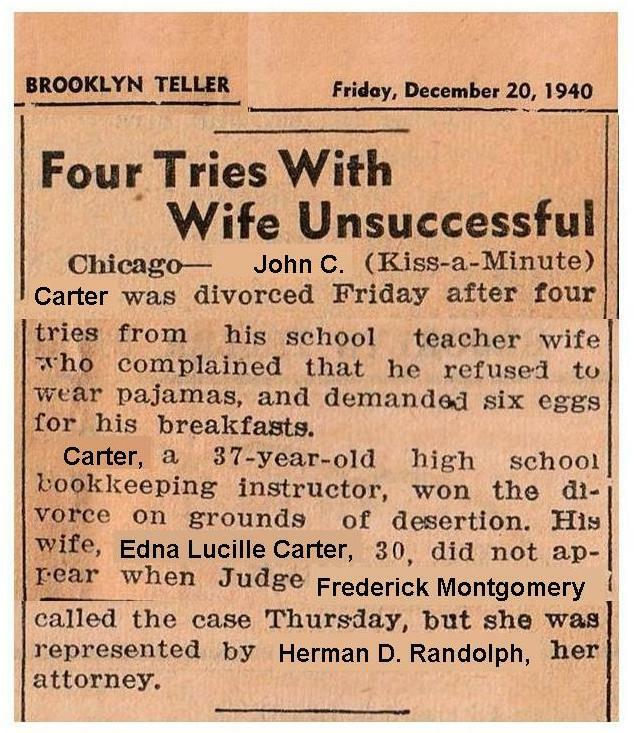 I left the husband's nickname the way the newspaper had it, but I changed all the real names to protect the innocent - or the guilty - or whatever. If Kiss-A-Minute Carter had been satisfied with only 5 eggs every morning, maybe the marriage could have been salvaged! P.S. Don't forget to set your clocks back before you go to bed tomorrow night! Sneak Peek Friday - Presto!